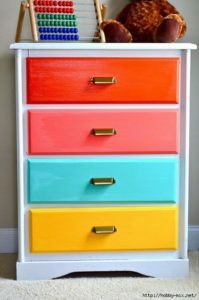 If you are going to paint furniture, why not do it right, and make it pop! 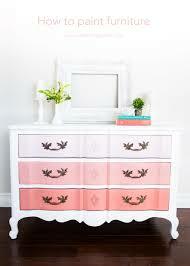 Furniture can add color and texture inexpensively to a room that is otherwise plain. 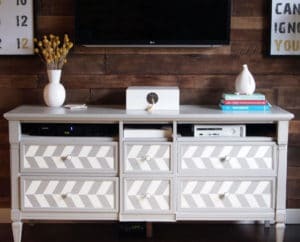 There are a few tricks to making your painted furniture really pop. Layers of Color – I have found that I love and get the most compliments on pieces that have different layers of color. 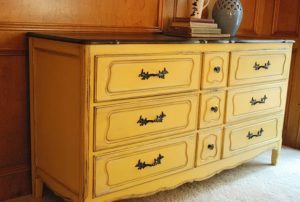 For example, mix it up with the color – do the drawers a different color or paint the trim a different color than the main color of your piece. Ombre pieces are very popular, you can read my tutorial on how I achieved this look here. 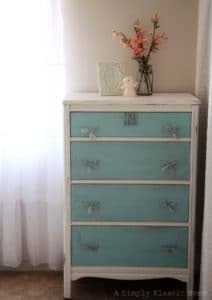 Add Texture– Also, distressing adds another layer of color to the piece also. With a 2 color piece, distressed, you have 3 layers of color. This over sized coffee table has a great pop effect with neutral colors because of the texture that they added. 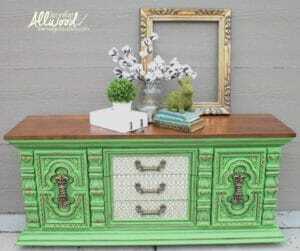 Hardware – Adding interesting hardware to a piece can make a huge difference in the overall look of the piece. 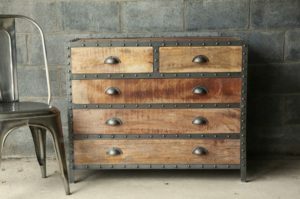 Even without layers of color, interesting looking hardware can give the whole piece a unique look. Neither of these things are expensive or time consuming. They are both simple things but, will really help your pieces look top-notch.